Join us Sunday Mornings at Emmanuel for Bible 101. it starts at 9:30 am and goes to 10:30am, allowing you to be able to attend the 11am service after. It is led by Lloyd Crowe. It is located downstairs in Room # 7. 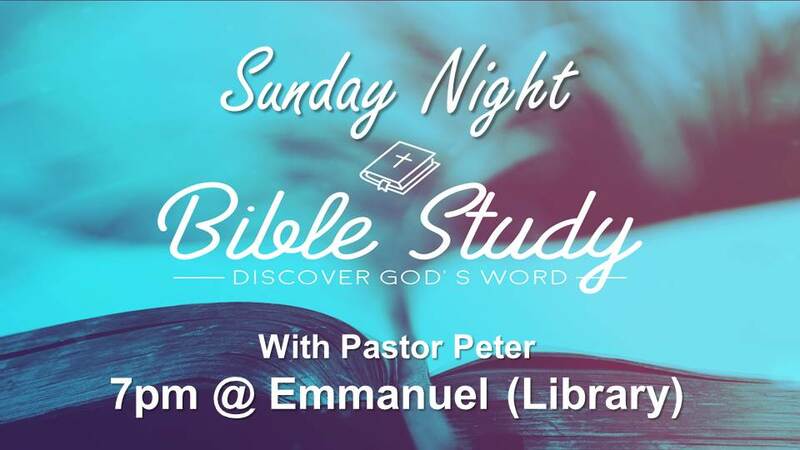 Join us Sunday Nights at Emmanuel in the Library for a Bible Study led by Pastor Peter. It starts at 7am and all are invited. You will grow in your knowledge of the Word and in relationship with others. Be aware that sometimes this study is cancelled in light of other events such as Worship Nights or Missions Nights. Join us on Wednesday afternoons from 1:30 - 3pm in the Library for a Bible Study led by Pastor Peter. You will study the word, enjoy some coffee and treats and grow in relationship with others as well. All are welcome, no signup required!